This trio produces music like nothing you’ve heard before! Percy Jones is the most revered fretless bass player alive and has inspired thousands of bassists with his unique style. He has forged his own path in his approach to the instrument, bewitching the listener with what he brings to the music. Scott McGill, Proclaimed “The Thinking Man’s Yngwie Malmsteen” by celebrated jazz and fusion author/critic Bill Milkowski, has been playing guitar for over twenty five years. He studied over a decade with noted composer Dennis Sandole (who also taught John Coltrane, Pat Martino, and James Moody, among others). Scott is also breaking new ground with the fretless guitar and iGuitar synth. Ritchie DeCarlo is the driving force behind this music. His combination of bombastic double bass one minute mixed with subtle world music beats the next keeps you guessing. You never know what is coming around the bend with these “over the top” musicians! Being a band in 2015 isn’t so much about how many chinese dragons you can fit on your leg or how custom built your modular is. It is about how much faith you have in the music you create and the trust you have in the world around you. If you take a musical leap will somebody be there to catch you? 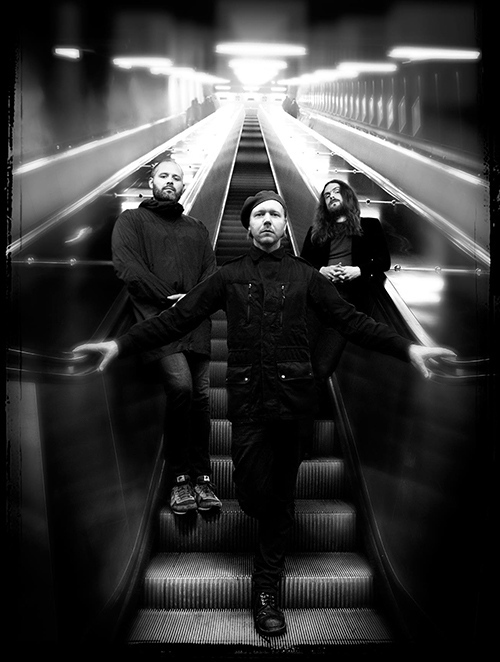 Necromonkey is David Lundberg and Mattias Olsson, two of Scandinavias most experienced progressive rock musicians with a discography stretching 100+ albums. With backgrounds in iconic bands such as Änglagård and Gösta Berlings saga it would have been easy to chug along on those well worn tracks but with the bands debut Necroplex (2013) they quite firmly showed a different agenda, and it was a loud one. Breaking up traditional arrangements and prog rock colours but infusing noise, spoken word and collage type sheets of sound. Necroplex was a different beast altogether. For their second album A glimpse of possible endings they once again changed adding icelandic influences from bands such as Sigur Ros and Múm to Reich like percussion sections. In 2014 they band toured the northeast of the US and from that tour the bands first official bootleg was born, Live at Pianos, NYC. The album shows a band thinking on their feet. Loud, raucous and fast. A modern prog quartet with scattered influences fighting in the backseat whilst speeding with the headlights off. In January 2015 the band was invited to play at Fylkingen in Stockholm. A classic venue for Electro acoustic music (as in Stockhausen, not Miley Cyrus). To honour the venue the band morphed again using only drum machines and modular synths. This created a new set unlike the earlier material. Happily surprised by this experience Necereomonkey decided to record the live set which turned into the new album “Show me where it Hertz” (to be released in September). Necromonkey Live is also something different. The band changes lineup for almost every show trusting the audience and thrusting the audience in new directions. In Toronto in 2015 they appeared as a duo. In Stockholm 2014 there were 7 people on stage. The band refuses to become their own cover band playing songs the same way over and over again. Old songs are rearranged and reorchestrated. New parts are added and taken out. Its never finished. For the US-tour in October 2015 the band will play as a trio. David Lundberg, Jesper Skarin and Mattias Olsson. The set will include songs from all three studio albums as well new material. 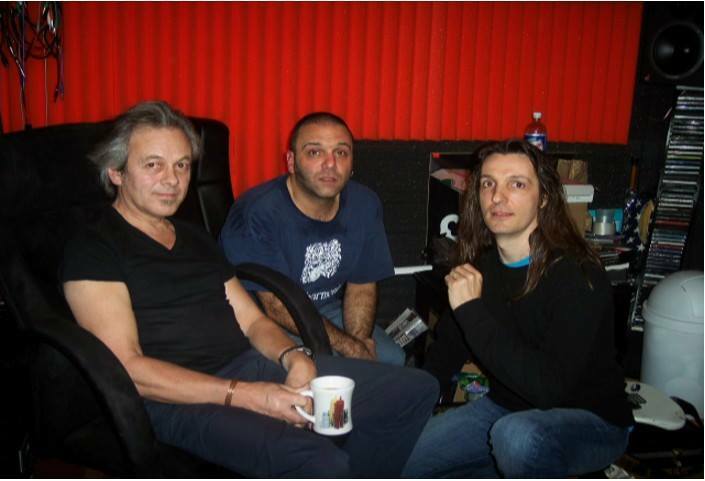 After the tour Necromonkey will return to the Roth Händle studio and continue work on their 5th album, Someone always dies in the end, hopefully to be released in December 2015 or early 2016. There are also discussions of tours in South america and Alaska.